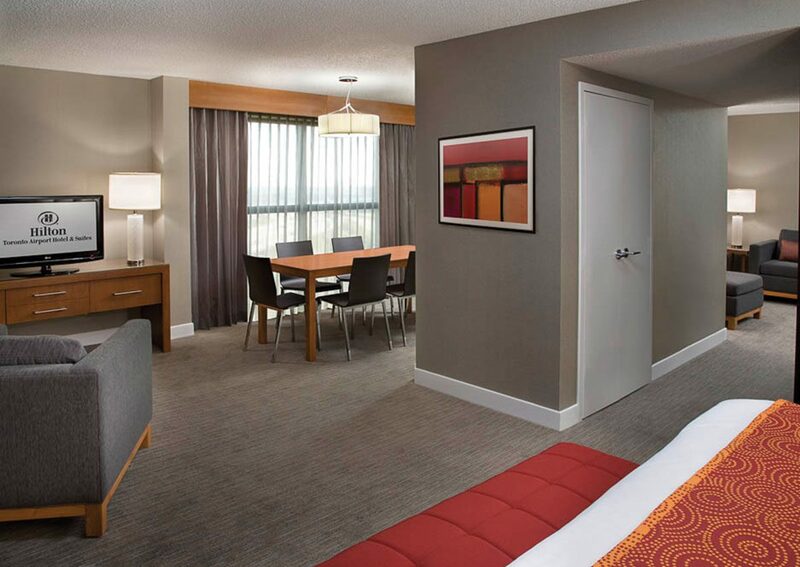 This Four Star hotel boasts a clean and smart design, and is a five minute shuttle bus ride from Pearson International Airport. 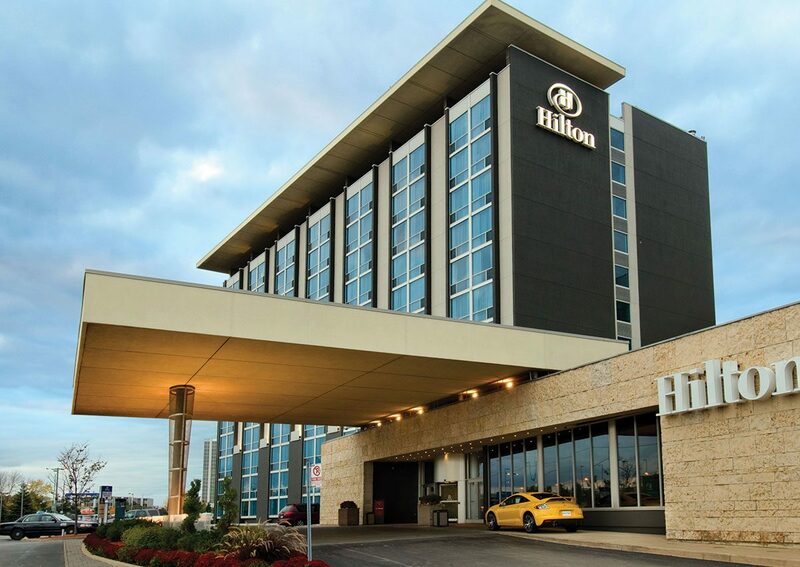 Located near all major highways, the Hilton Toronto Airport Hotel & Suites is minutes away from the International Centre, the Toronto Congress Centre, and many major corporate offices. 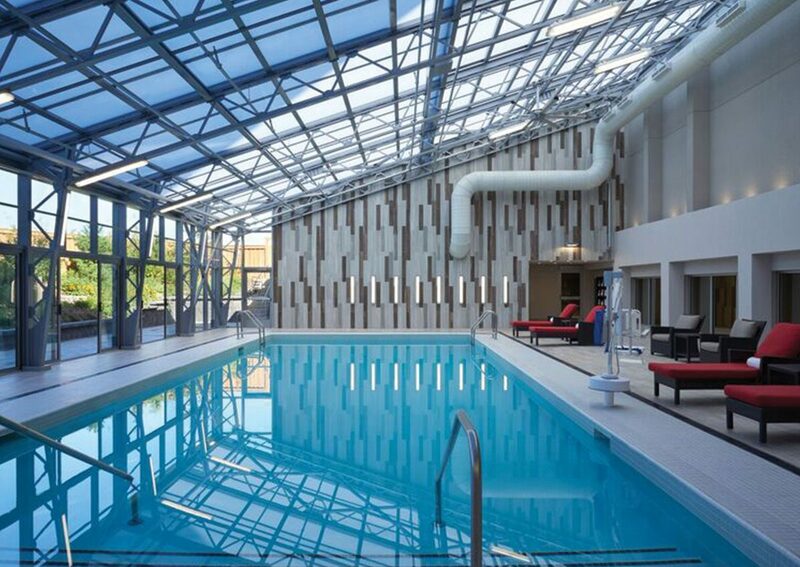 The Hershey Centre, Powerade Centre and other sport and entertainment facilities are also nearby, and the hotel is just 20 minutes from downtown Toronto. The Bliss Restaurant & Bar offers a fresh menu and our recreation facilities include outdoor pool, saunas, cardio and weights and a squash court. We make the most of your stay, offering services you need, the amenities you expect, and the extras you deserve. 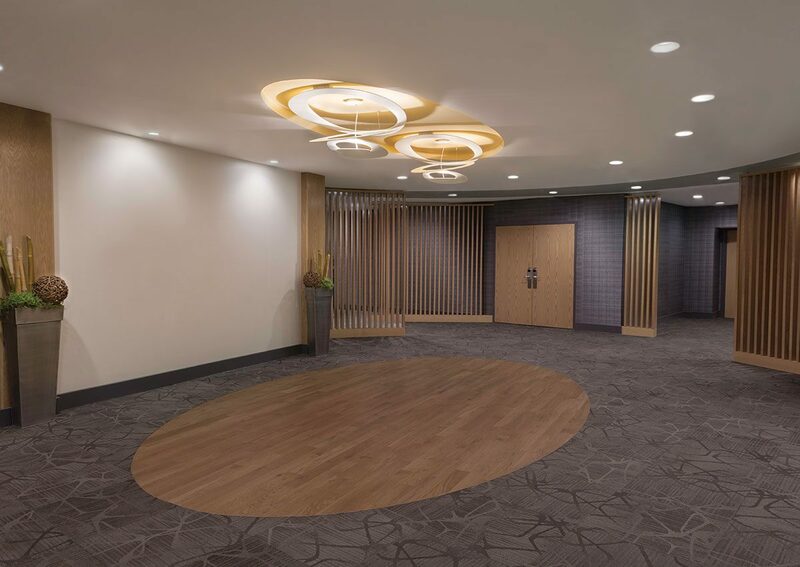 Featuring over 23,000 square Feet of stylish flexible meeting space to accommodate all of your needs. Dining options are designed with you in mind offering savoury innovative dishes prepared with the finest ingredients. Conveniently located and close to all major highways and local attractions.